The Custard TV: Jamaica Inn: Does stripped drama work? Jamaica Inn: Does stripped drama work? Over the last three nights the BBC have shown drama Jamaica Inn at 9.00pm. Pushing the complaints about mumbled dialogue to one side, the scheduling got me thinking whether showing all three episodes on consecutive nights is the best idea. The idea of 'stripped drama' isn't a new one, and in some cases it really works. Silent Witness for example, airs its two-part crime stories on consecutive nights which works well and it helps to hold the momentum of the story. 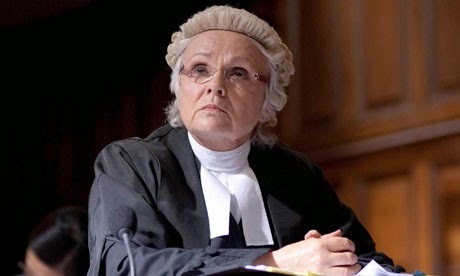 ITV has also had their attempt at stripped drama in 2009 with superb five-parter Collision and in 2011 when they resurrected crime drama The Jury. During these two dramas I felt stripped drama was a good idea. It was nice to have that momentum and something to look forward to over the course of the week. The only downside I saw was the fact that these strong dramas would be over too quickly. I'm a fan of stripped drama but it only works with shorter series. I highly doubt Broadchurch would've built up such high anticipation without the week for people to share their theories and speculate on where the story would go next. Despite the huge critical acclaim that Line of Duty received, the initial audience wasn't huge, but the chatter on twitter and word of mouth helped to make the series what it was. If it had been stripped over the course of six nights it may well have disappeared without many noticing. In the age of Sky and freeview boxes there's some that argue that it doesn't matter what schedulers do because we can let our boxes fill up and then watch them all in a marathon style, but the ratings prove people do still watch these sort of things live. As a TV obsessive I prefer to have that seven days to wait and having something to look forward to. Stripped dramas can work but I'd've much rather something of the style of Jamaica Inn be given the opportunity to grow its audience, sound problems, or no sound problems.